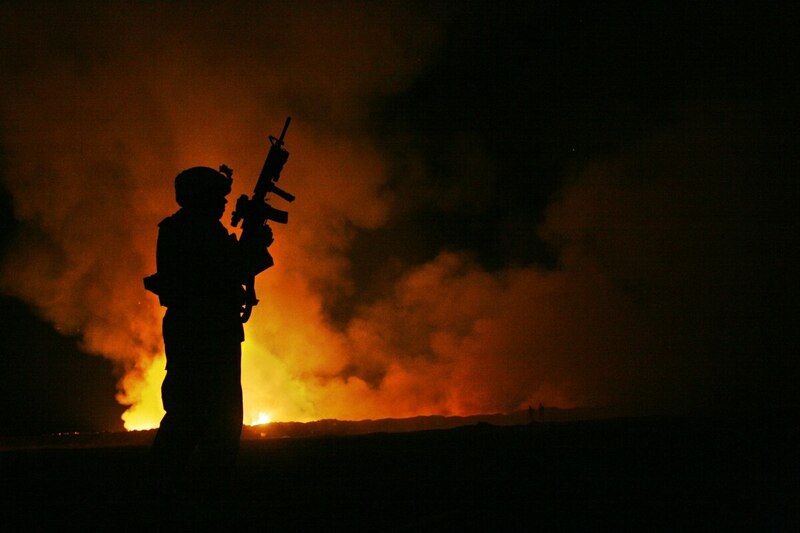 WASHINGTON — Advocates for veterans exposed to toxic smoke from burn pits in Iraq and Afghanistan say federal response to the problem is too slow, too incomplete and sadly too late for thousands of troops succumbing to fatal diseases. That’s despite more than a decade of research into the health effects and lawsuits over troops’ exposure to burning contaminants. “When I went to the doctor and complained about chest pains, she told me ‘Well, you’re too young to have any type of chest complications,’” said Carlos Fuentes, director of VFW’s National Legislative Service and a Marine Corps veteran who served in Afghanistan’s Helmand province in 2009. They're pushing for new legislation to require better monitoring into health problems related to burn pit exposure. More than 141,000 veterans and current service members have enrolled in VA’s Airborne Hazards and Open Burn Pit Registry, which allows individuals to document their experiences and illnesses. But federal officials believe the number of troops exposed over the years tops 2 million. And only about 9,000 veterans have applied for disability benefits based on toxic exposures from the waste pits, leading supporters to question whether the departments are doing enough outreach to understand the problem. “Year after year, we have seen an upward trend in the number of our members reporting symptoms associated with burn pit exposure,” said Tom Porter, legislative director for Iraq and Afghanistan Veterans of America and a Naval reservist who also deployed to Afghanistan. His group has lobbied in recent weeks for legislation that would require more in-depth monitoring of service members’ health for signs of illnesses connected to toxic exposure in combat zones. Similarly, California Democrat Raul Ruiz has introduced legislation requiring federal officials to allow family members to record their loved ones’ medical issues in the VA burn pit registry, in an effort to broaden the amount of information collected on the issue. But he also wants to see VA officials do a better job reacting to problems they’re already seeing among the veterans population instead of continuing years-long studies into the problem. At a House Veterans’ Affairs Committee hearing on the issue Thursday, VA’s chief consultant for post-deployment health, Ralph Erickson, said that officials are focused on the problem but also acknowledged definitive research on the issue is still years away. The four-year-old burn pit registry “can give us ideas of what we should be looking at, and what we need to prioritize.” Pressed by lawmakers, he also said that he wished the listing had more names and participation. Defense Department officials opted not to attend the hearing. Their absence drew additional questions from irked lawmakers about their commitment to identifying the long-term health problems with the pits, which have largely been scaled out of use overseas in recent years. Rep. Clay Higgins, R-La., said the past use of burn pits amounts to “essentially deploying chemical and biological weapons against our own troops,” making the department’s decision to skip the hearing all the more upsetting. Ruiz and several other lawmakers say they’ll discuss additional legislative actions in coming weeks, in an effort to keep momentum and attention on the issue.